It is always a renewed spectacle. 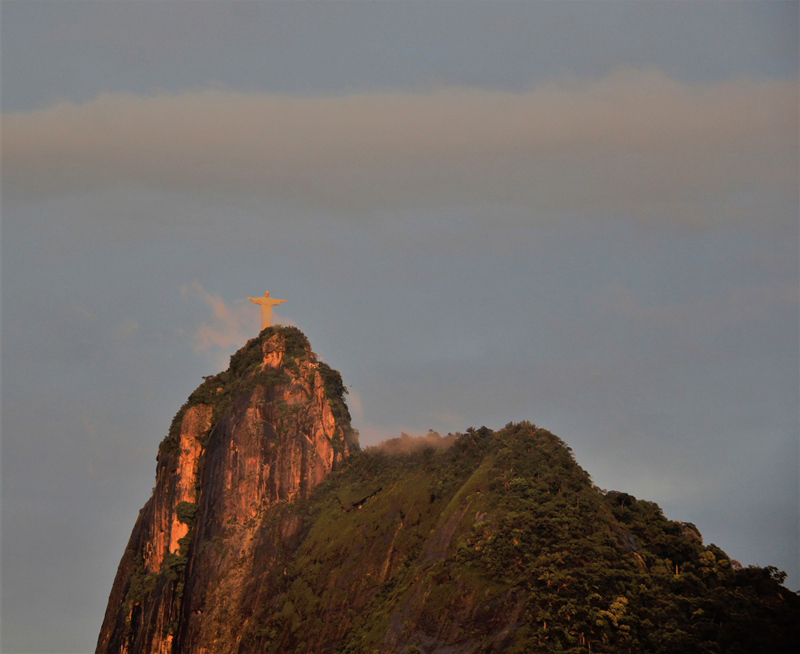 Morning view of the Christ on its stone pedestal. The light is making the Christ to shine. The point of view is showing the details pf the statue and of the mountain. It is clear and precise. Have a nice day.